Hello all! 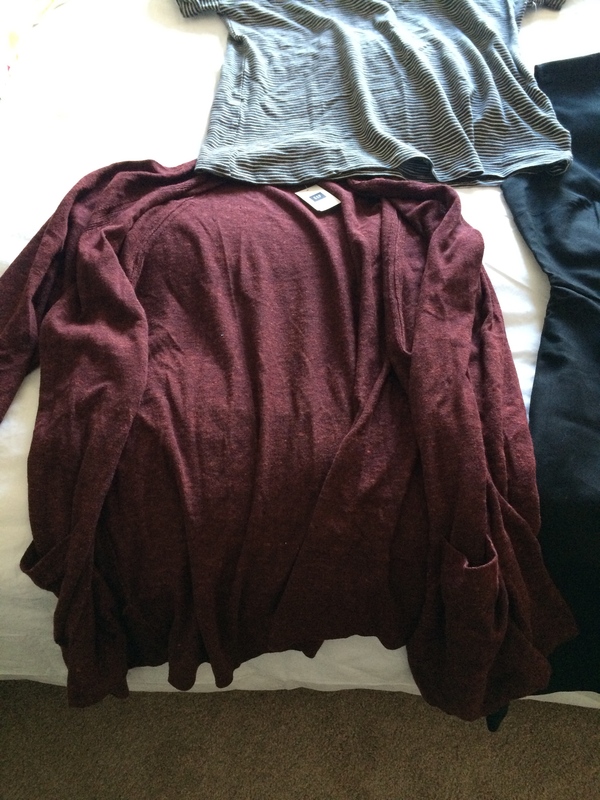 I decided to share a short post of some fall clothing I got when I was visiting home on Labor day. The pictures aren’t awesome because I wasn’t able to photograph everything on my body yet, but I still want to talk about why I love each of these items. Read on for more! First I got this super warm and cute red cardigan. I’ve been looking for more ways to keep warm after my move to Chicago so I’m happy to own another cardigan. This one has expanded sleeves which is very comfortable and it reminds me of the old professor look; which I am so down with. 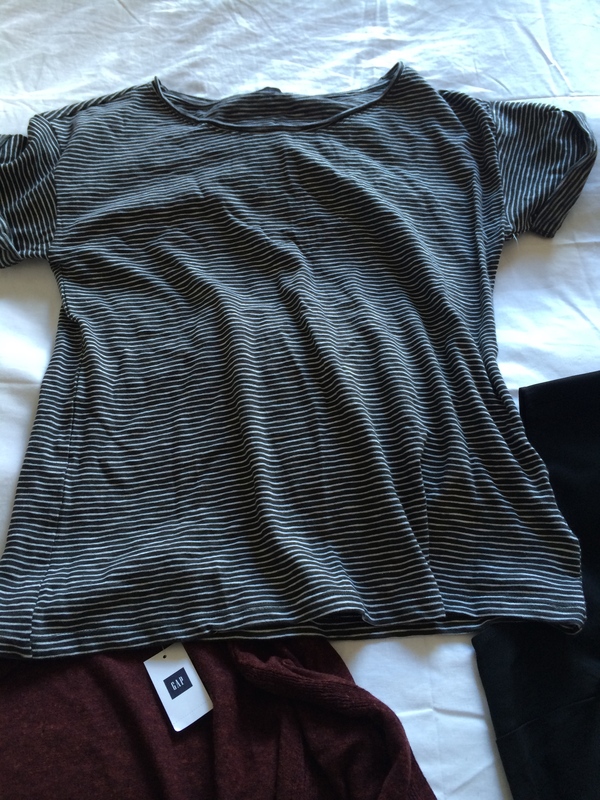 Next up is a simple striped T-shirt. The fit is flowing and relaxed which I have been loving lately. 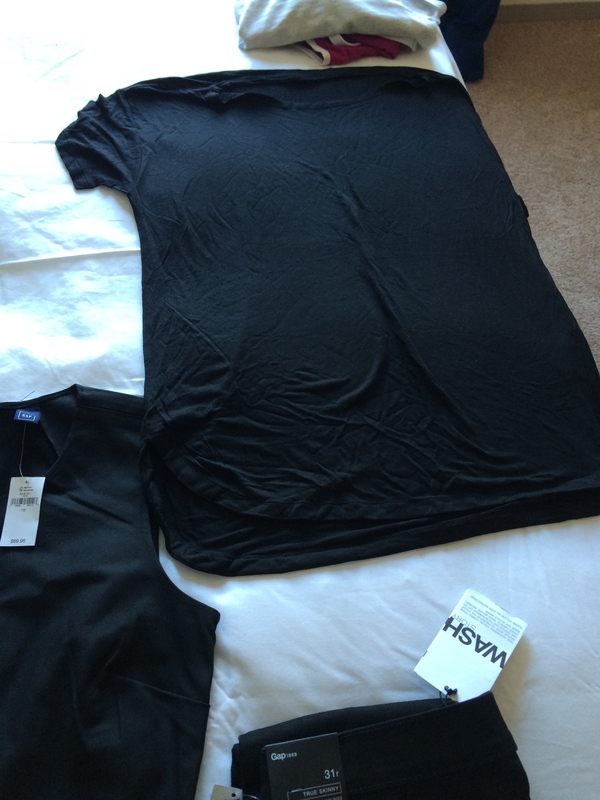 I have been slowly collecting more stylish and simple T-shirts to replace some old ones I dislike. I also love the rolled sleeve look! Next up is another T-shirt, this one being black. The back of the shirt flows in a very beautiful way and it made it a bit more than a simple tee. I can’t wait to pair this with a nice pair of jeans in the winter. 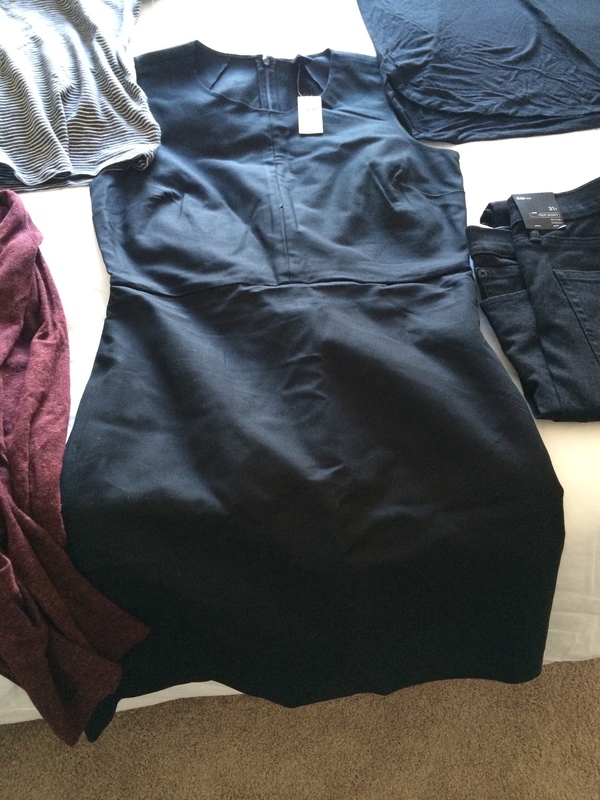 I’ve been searching for a nice LBD (little black dress) for a long time. Something that is both classy but not over professional. I think this dress works perfectly because it has a great fit. It is stretchy in the right way and fits my curves beautifully. I think this dress would work well for work or even a date! 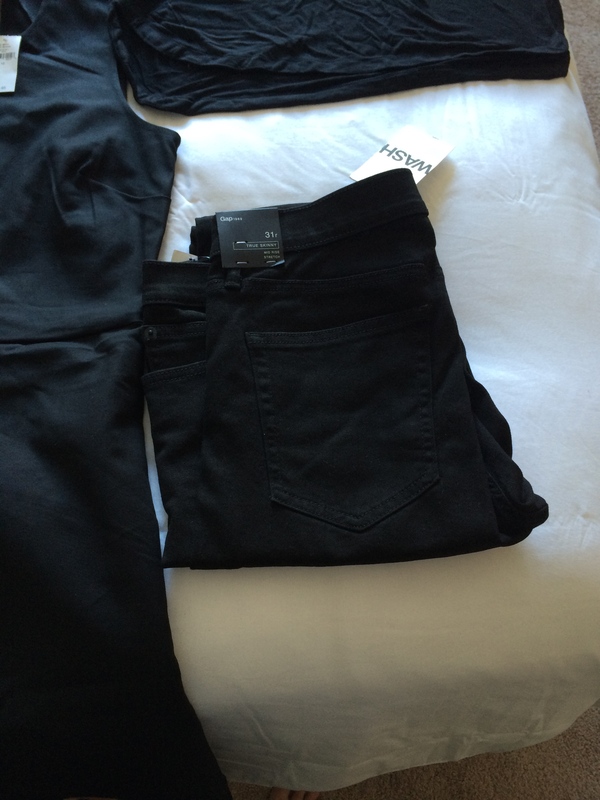 My last item is a simple one: a pair of black jeans. I have never had this color of jeans and I’ve been wanting some for a long time. I wanted a variety of denim colors because they will be a staple for my winter days in Chicago. These are Gap’s new resolution denim. That’s my mini-haul for today! All of the clothes are from Gap because that is where my mom and I like to shop at home. I hope you enjoyed my run-down of these purchases. I will be returning to my regular 2 posts a week from now on, so look forward to Wednesday’s post! 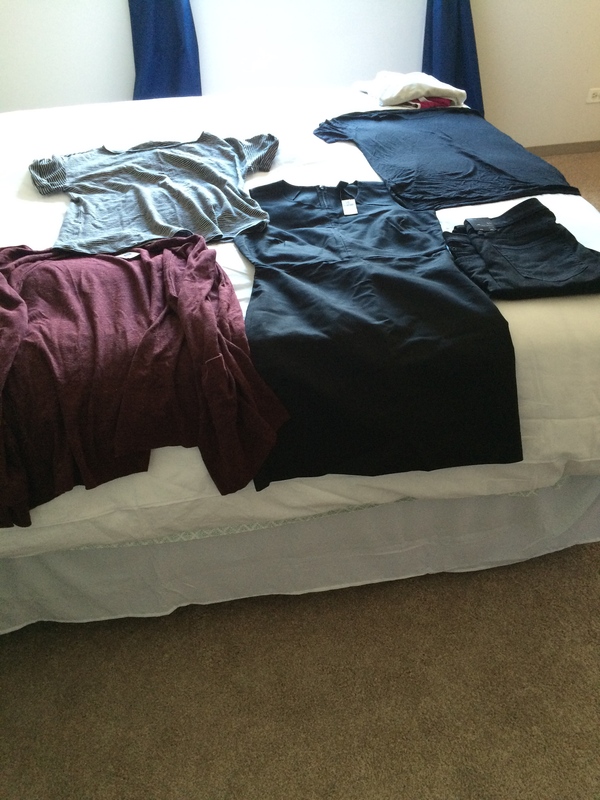 This entry was posted in Fashion and tagged cardigan, Gap, lbd, little black dress, t-shirts. Bookmark the permalink.